Shared Habitat: A partnership of Canadian and U.S. citizens and groups work together to preserve the last undeveloped shoreline on Lake Superior. Profiling Tourism: Shedding light on the barriers and opportunities to grow tourism across the Great Lakes-St. Lawrence Region. 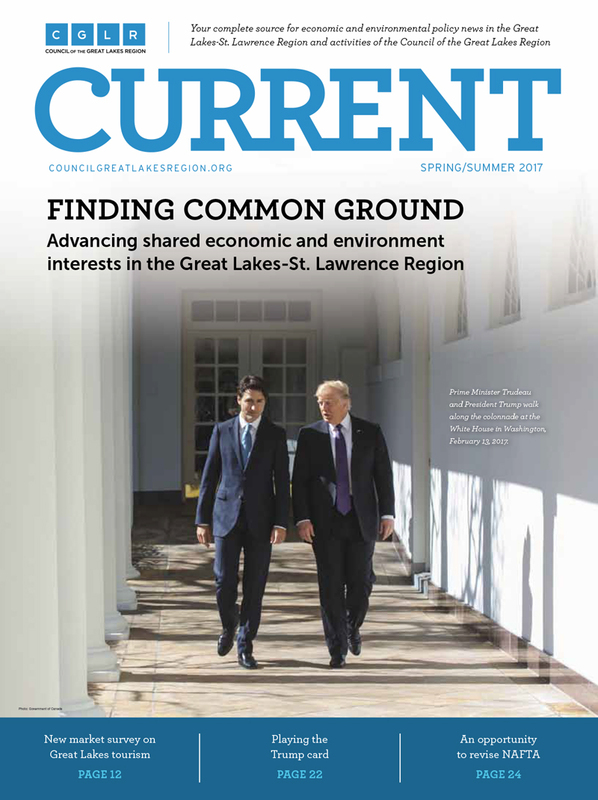 Family Smarts: Supporting water conservation and economic growth in the Great Lakes-St. Lawrence Region through innovation and ingenuity. Bridging Benefits: The Gordie Howe International Bridge will establish a new, critical link for trade flows.